This song had opened ten shows in the Summer of 1999, one show the following November (three songs before the only live performance ever of "A SATISFIED MIND", which picked up the "ready to go" theme with its last verse), and seven shows in March 2000. Only in Vancouver, Canada and in Horsens, Denmark "HALLELUJAH I'M READY TO GO" had been performed outside the US until September 2000, when Bob chose to open three concerts in Scotland, Wales and England with this jewel, twice picking up the topic again later in the show with "TRYIN' TO GET TO HEAVEN" (as he did in Horsens). My wife and I had the extraordinary pleasure to be present at all three shows (ABERDEEN / CARDIFF / PORTSMOUTH), seeing Bob perform this overt confession. After it appeared only once again in the US fall 2000 tour, Bob carried this wonderful song into the year 2001, performing it in Fukuoka in March and in Bad Reichenhall and Napoli in July, before it appeared again in August in Vail, Colorado, once more picking up the topic later in the concert with "TRYIN' TO GET TO HEAVEN". Five days later in Las Vegas "HALLELUJAH I'M READY TO GO" was performed again in the same show as "EVERYTHING IS BROKEN", as it had been in Portsmouth and Napoli. 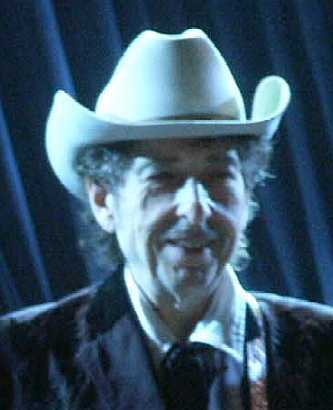 In November 2001 "HALLELUJAH I'M READY TO GO" opened the 33rd show of Bob's fall tour, in Manchester, New Hampshire, appearing in the same setlist as "GOTTA SERVE SOMEBODY", as it did already in Napoli in July. A strong combination indeed. Opening the next show in Portland, Maine with this song as well, Bob followed it up with "THIS WORLD CAN'T STAND LONG" and "NOT DARK YET". Another strong combination. The fourth show of 2002 in Jacksonville featured once more "HALLELUJAH I'M READY TO GO" in the same setlist as "GOTTA SERVE SOMEBODY". Five days later "HALLELUJAH I'M READY TO GO" opened the concert in Charlotte. In April in Copenhagen and in Stuttgart it appeared in the same show as "SOLID ROCK". What a powerful combination. The next performance of "HALLELUJAH I'M READY TO GO" was in Nürnberg, and four days later Bob Dylan performed it in Brussels in the same set as his second "I BELIEVE IN YOU" in five days. When opening a concert with "HALLELUJAH I'M READY TO GO", Bob Dylan dares to point directly toward his wonderful savior, telling his audience openly that his soul is "saved", and that he is "ready to go". He is certain that "this world can't stand too long", and that there is not much time left for the sinner "on the highway heading down below". But his Savior still answers the pleas and helps the unbelief of everyone kneeling in deep contrition at the throne of mercy. For Bob Dylan it seems to be the only place where this sweet relief is to be found. And whoever has found it can truly say: "I'm ready, Hallelujah"! "Stay dressed for action and keep your lamps burning, and be like men who are waiting for their master to come home from the wedding feast, so that they may open the door to him at once when he comes and knocks. Blessed are those servants whom the master finds awake when he comes. Truly, I say to you, he will dress himself for service and have them recline at table, and he will come and serve them. If he comes in the second watch, or in the third, and finds them awake, blessed are those servants! But know this, that if the master of the house had known at what hour the thief was coming, he would not have left his house to be broken into. You also must be ready, for the Son of Man is coming at an hour you do not expect." Now the tax collectors and sinners were all drawing near to hear him. And the Pharisees and the scribes grumbled, saying, "This man receives sinners and eats with them." So he told them this parable: "What man of you, having a hundred sheep, if he has lost one of them, does not leave the ninety-nine in the open country, and go after the one that is lost, until he finds it? And when he has found it, he lays it on his shoulders, rejoicing. And when he comes home, he calls together his friends and his neighbors, saying to them, 'Rejoice with me, for I have found my sheep that was lost.' Just so, I tell you, there will be more joy in heaven over one sinner who repents than over ninety-nine righteous persons who need no repentance. "Or what woman, having ten silver coins, if she loses one coin, does not light a lamp and sweep the house and seek diligently until she finds it? And when she has found it, she calls together her friends and neighbors, saying, 'Rejoice with me, for I have found the coin that I had lost.' Just so, I tell you, there is joy before the angels of God over one sinner who repents."